This Metal Framing Strut Channel was engineered to provide maximum support with minimal pieces and labor. It is used in buildings as a solution for industrial framing and mounting needs. Ideal for electrical conduit, wires, and cables. As any veteran electrician will attest, proper conduit installation is only as good as its mounting system. Grainger understands the need for a proper mounting system. 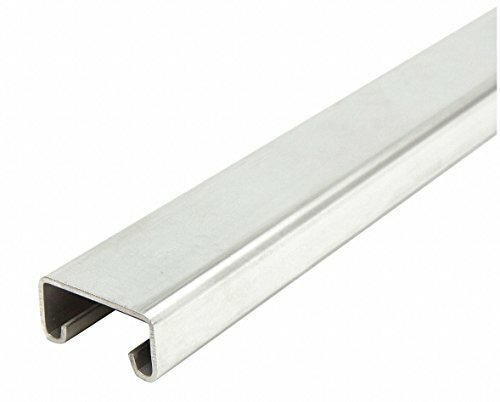 Construction and manufacturing industries rely on the strut channel from Grainger to support conduits, fixtures, and ventilation systems from beams and other structural systems. Consider Grainger an all-in-one resource for all things related to conduit mounting systems. Strut Channel Size: 1-5/8" x 13/16"